You have one chance to make a good first impression, so you’ll need to prepare yourself for each and every interview. Preparing for the interview consists of conducting research about the company, the job, and the interviewer (if possible). And, most importantly, rehearsing for the interview with a trained employment interviewer who can critique your performance and offer guidance for improvement. Your interview may be by phone, online, or in-person. It may be one-on-one, a group interview, a panel interview, or an automated video chat interview. It is important to know this before you prepare. The prospective employer is looking for you to prove two things during the interview—you are a fit for the company and you have the skills to do the job. 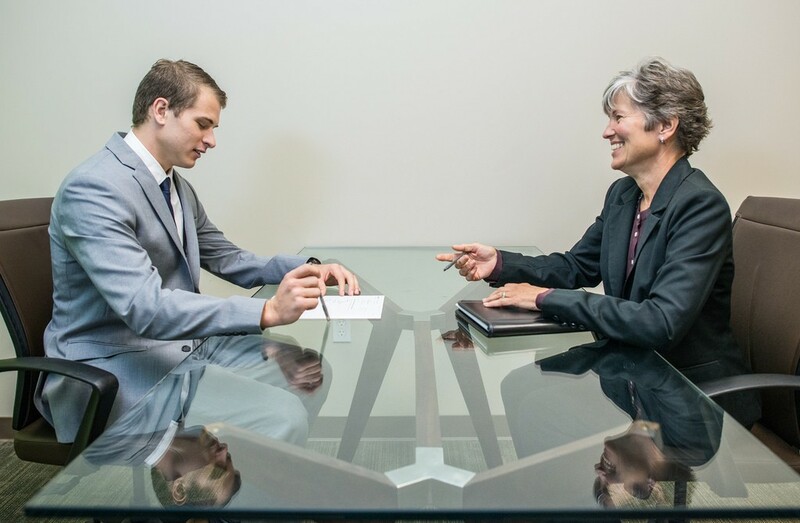 Understanding the type of interview and practicing live with a skilled human resources interviewer by phone or Skype-to-Skype will give you confidence to master this next important step of the hiring process. The preparation will also cover overall image, personal appearance, body language, logistics, company culture, and documents to offer or to bring. After the interview, a customized Thank You Letter is necessary; it can be mailed or emailed. This is a writing service we are skilled with preparing for your quick delivery.